Light trespass occurs when spill light is cast where it is not wanted. Light trespass is somewhat subjective because it is difficult to define when, where, and how much light is unwanted. An example of light trespass is when spill light from a streetlight or floodlight enters a window and illuminates an indoor area. Figures 4 and 5 depict examples of light trespass. The light trespass shown in Figure 4 would be significantly reduced if a shield were placed on the luminaire. 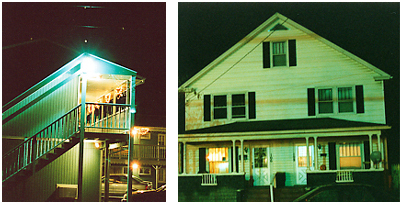 In Figure 5, the floodlight on the hotel casts light on the home across the street. 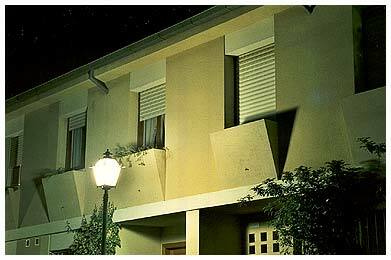 Proper aiming of the floodlight and shielding would significantly reduce the light trespass shown in this example.